O'rion, a gorgeous lilac-point Siamese mix, is waiting for a forever home to call his own. Could it be your home? In this, our final post for Adopt-an-Awesomely-Special-Pet Week (known to some as Adopt a Less Adoptable Pet Week), we’d like to introduce you to O’rion. 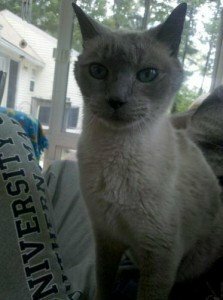 This gorgeous lilac-point Siamese mix male was found as a stray in the Brunswick, Maine, area, and is currently in the care of H.A.R.T., an all-volunteer shelter in Cumberland, Maine. O’rion needs to take a very inexpensive medicine for the rest of his life — and he’s very cooperative about taking it. H.A.R.T.’s vet estimates him to be between 7 and 9 years old, so he’ll still enjoy many quality years with a loving family. H.A.R.T. 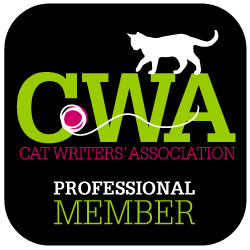 is a state-licensed shelter that provides refuge and medical attention to cats that have been surrendered, abandoned, injured or abused, and finds loving homes to adopt them. H.A.R.T. provides both medical and specialized attention to all of its residents. They offer a hard-to-place cat with a safe haven until the perfect home becomes available. Feral cats, or otherwise unadoptable cats, always have a permanent home at H.A.R.T. O’rion is neutered and up to date on all his vaccinations. Please meet this soft, beautiful, and super friendly Siamese guy. You won’t be disappointed! For more information about O’rion, contact H.A.R.T. by phone at (207) 829-4116 or by e-mail at info@hartofme.com, or visit their website. One final note: Just because this is the end of Adopt an Awesomely Special Pet Week, that doesn’t mean there are no more special-needs pets out there. H.A.R.T., and all kinds of shelters across the country, have lots of other “less adoptable” cats looking for homes, too. For every special cat, there’s a special home. Could that home be with you?